On behalf of our 20,000 member companies and their 1.2 million employees, the New Jersey Business & Industry Association (NJBIA) is writing in opposition to A-4927. The bill expands the number of employees who can collect, the amount they could collect, and the number of weeks they can collect while doing nothing to the amount paid into the fund that pays these benefits. 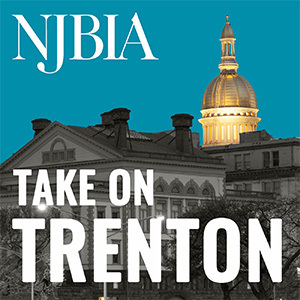 NJBIA is concerned that a depleted fund will force the Legislature to increase taxes to cover the increased benefits and business will be forced to cover the increased costs. This bill is a one -size-fits-all mandate on every private and public employer, whether it is a corner store with two employees or a large manufacturer with 2,000. Unlike the current paid family leave law, this bill has no exemption for those who employ fewer than 50 workers. Many small employers simply cannot afford to operate with employees absent for prolonged periods of time. Those employers must absorb the cost of paying and training a replacement worker for the employee on leave and/or pay coworkers overtime to make up for the additional workload. NJBIA is concerned about expanding the definition of family member to include grandparents, grandchildren, siblings and parent-in-laws under the Family Leave Act and the NJ SAFE Act. Additionally, the bill permits an employee to collect family temporary disability leave while out on NJ SAFE Act leave. The bill, however, doesn’t clarify whether the leave runs concurrently or if the leave is in addition to what’s provide under the NJ SAFE Act. NJBIA is also concerned with the additional private right of action under the bill that would permit an employee or former employee the right to institute a civil action in the Superior Court for relief. law. New York’s law, however, phases in paid family leave benefits over four years starting with eight in 2008 increasing to 12 in 2021. Pennsylvania, our number one outmigration state, does not offer paid family leave. NJBIA is concerned that expanding our paid family leave benefit will make New Jersey less competitive as our small businesses continue to struggle with high taxes and a lack of affordability. For these reasons we respectfully ask that you vote “No” on A-4927.